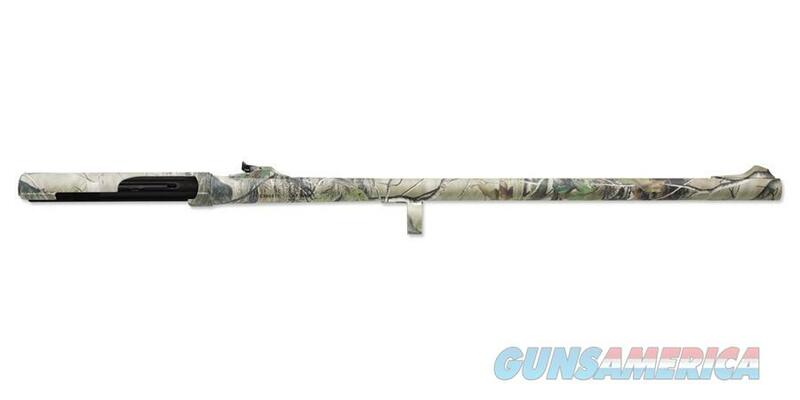 Benelli Super Black Eagle II 24" Rifled Slug Barrel Realtree APG. Barrel also includes sight adjustment tool. Barrel is drilled and tapped for ease in mounting optics if you so choose. Add versatility to your Benelli shotgun with an extra barrel. Complement your gun with the opportunity to switch barrel lengths from 24” to 26” to 28”—whichever fits your particular hunting needs.